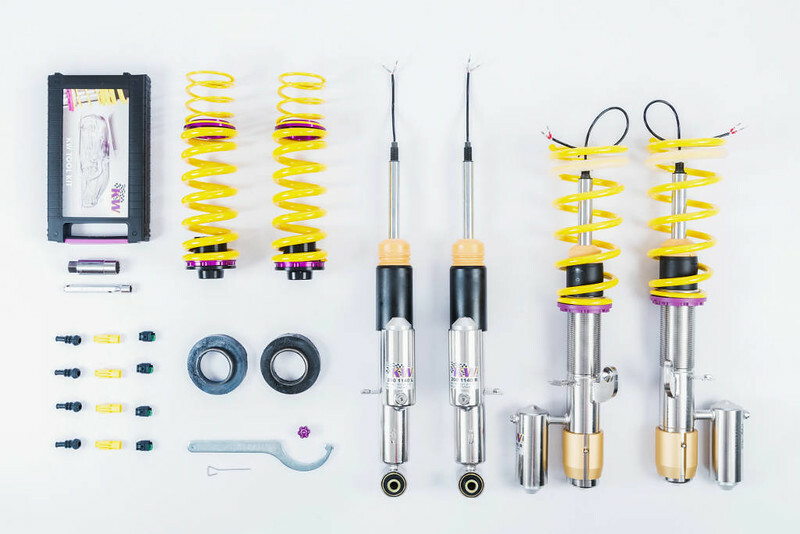 KW presents the next generation of its adaptive DDC plug&play coilover kits for the BMW M4 coupe (F82) and M3 sedan (F80) with optional adaptive M suspension. 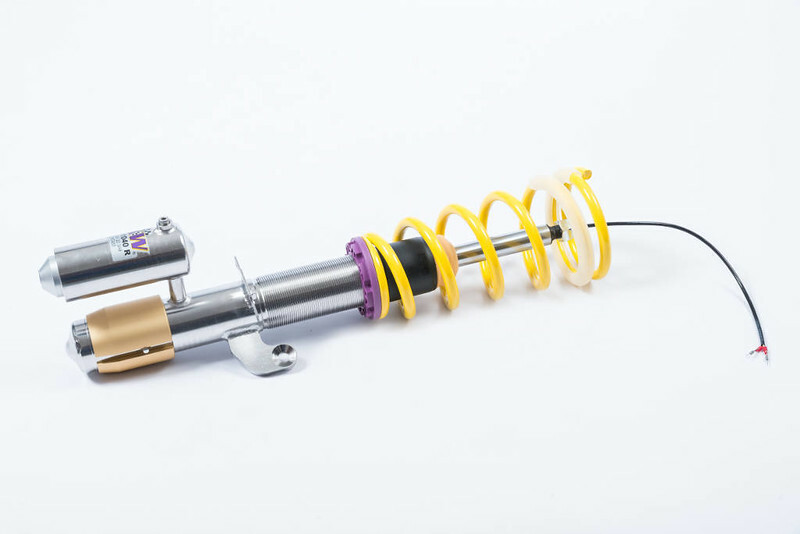 The new DDC coilovers have a new DDC valve technology and are compatible with numerous standard suspension controls. The great advantage of the adaptive KW DDC plug&play coilover kit is that it reads the serial sensors and adapts itself to the respective driving situation within one hundredth of a second. In addition, the driver can also switch between the modes “Comfort”, “Sport” and “Sport Plus” via the DDC button from the cockpit. 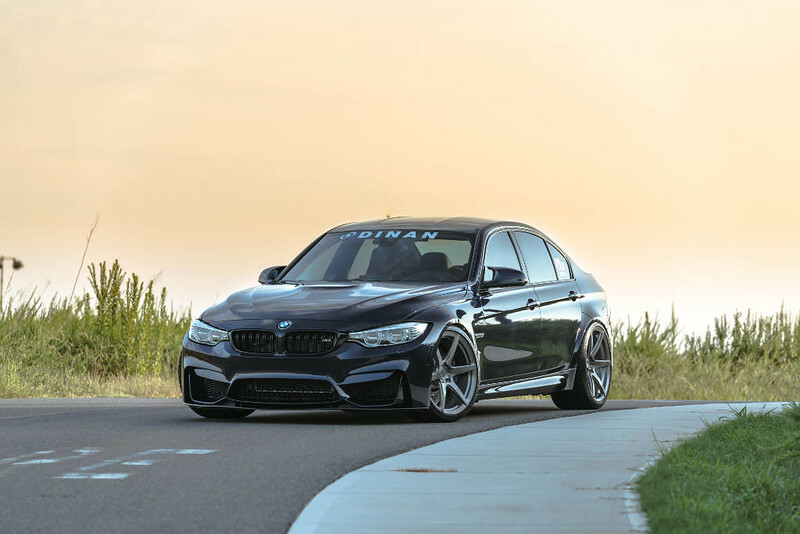 The complete suspension control system of the adaptive KW coilovers works via the BMW series sensor system and this also controls the KW valves. As a result, only the standard suspension has to be replaced by the KW suspension and the KW DDC plugs simply have to be connected to the original plugs. The sensors, for example, adapt the suspension adjustment in comfort mode within one hundredth of a second to the respective driving situation. When accelerating during overtaking maneuvers or on the highway acceleration lane, also the damper adjustment gets more direct. This happens so fast and harmonious that you will hardly notice it in everyday life. “Even with our DDC coilover kit, the driver can switch between the individual driving modes with the serial button,” explains KW Product Manager Johannes Wacker. The adjustment of the lowering at the adaptive KW DDC plug&play coilovers is made via the dirt-resistant KW trapezoidal thread on the stainless steel strut and the rear axle height adjustment. 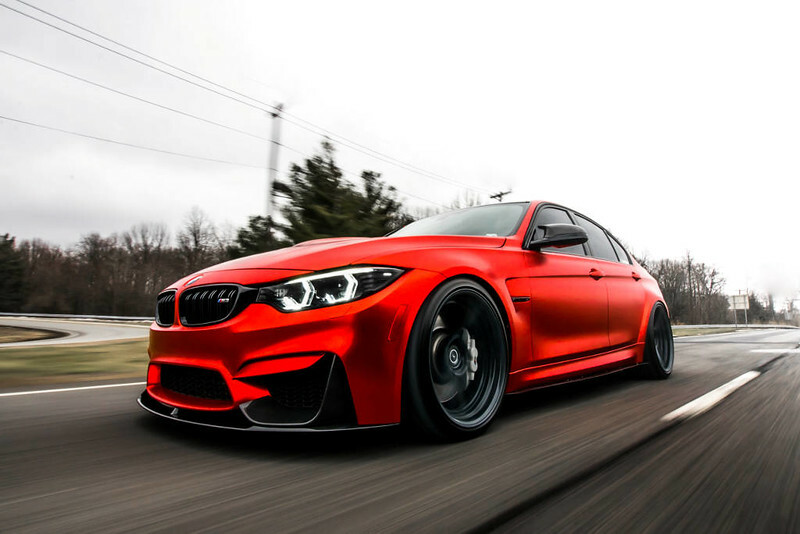 The approved range allows a continuous lowering of 15 to 40 mm on both axles for the M4 coupé (F82). 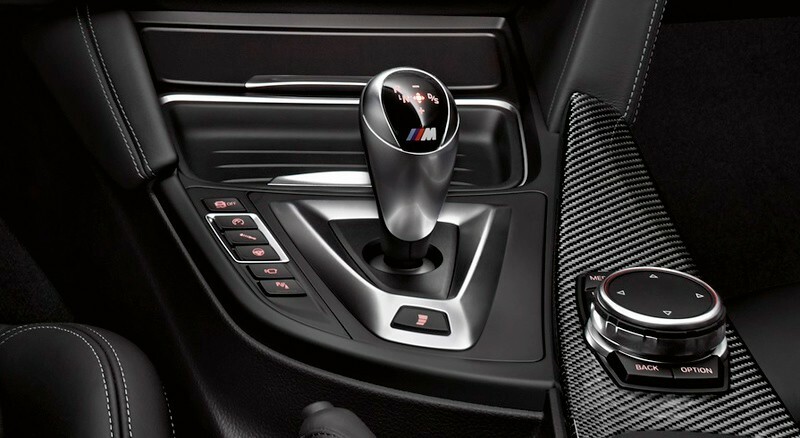 For years, adaptive suspension kits that can be changed from a comfortable driving mode to a sporty mode by the touch of a button, became more and more popular. 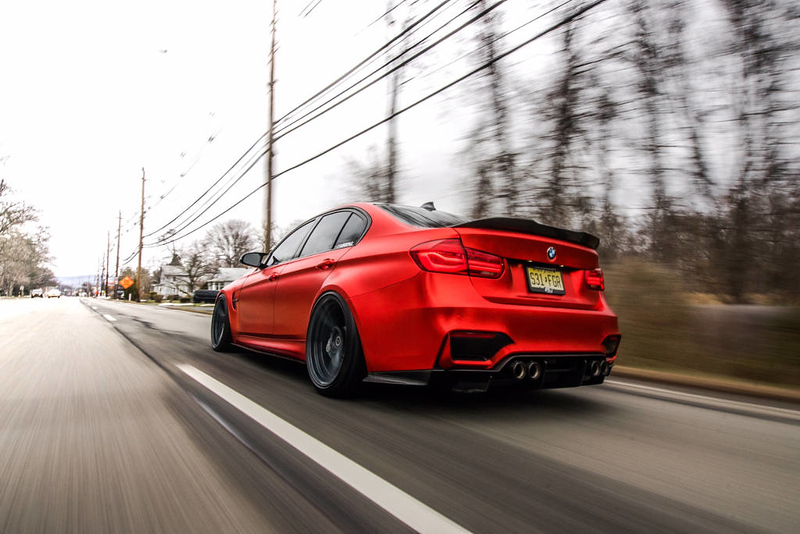 As one of the first suspension manufacturers for the aftermarket, KW automotive offered adaptive coilovers that are compatible with numerous control systems of various automotive manufacturers since 2011 (BMW, Mercedes, Seat, VW). When retrofitting, the series struts and dampers only have to be replaced by the KW components and the KW DDC plugs must be connected to the original plugs. The serial sensor system recognizes the adaptive KW dampers. With the new generation, KW no longer relies on a so-called electromagnetic bypass valve, which for example is attached at the side of the strut or damper, but the new development of KW is an adaptive and electronic valve that is located directly on the piston rod in the damper housing. As a result, the new adaptive KW DDC plug&play coilovers will be available for more and more cars.